A few years ago I left a large metropolitan area and moved to a very small, rural, and remote area. This was actually where I had been born and grew up so all my family lived in this area. I had worked in the large city for many, many years and was a competent, assured and happy person that knew what she was doing in her career. I made the move because I wanted to be near my family after years of being gone. Also, I had a strong sense of needing to be with my mother. This sense turned out to be life changing as only three years after I returned to my roots, she passed away. Living in a rural area has its qualities and has its hardships. What I quickly learned was that jobs were very scarce, even more so in my background, and when you got a job you stayed there because it was unlikely you could find another one. A job in my profession did show up in the newspaper one day so I applied. I knew my skills were top-notch and I had many years of experience to back me up. I had heard stories about the man I was potentially going to work for, but I thought to myself that with my many years in an office environment, I pretty much had seen or heard everything. There was no question in my mind that I could handle the position. The call came for an interview shortly thereafter, an appointment was made, and I went to the interview. When I went to the interview it was after hours so I wasn’t able to see or interact with my future co-workers, which I thought a little odd, but didn’t think too much about it. I was also not impressed with the “boss” but again, I just figured he was trying to be arrogant because I actually had as much, if not more, experience than he did. Anyway, a few days later I was offered the job, which I accepted. When my first day for work rolled around, I showed up professional and ready to work. I was shown my office and sat down to the job. There was no need to give me much training as I was familiar with the computer programs they used so it wasn’t long before I had a stack of work. That’s okay, I like being busy. After a few hours I needed to get up and move around so I went to one of my co-worker’s office to have a brief, friendly “get to know each other” conversation. She had a look of terror on her face when I popped in to say hello. Why? She was scared to death that the boss was going to see us talking! Seriously? We can’t have a 2-minute conversation? I was told emphatically, “no – he will yell at us for not working.” Okay. The next day I tried again with another co-worker. Same response. So this is weird, no conversation allowed. It wasn’t long before I knew what they were talking about. He was yelling at his staff, at his clients, to everyone on the phone. It was awful, frightening, and intimidating. At that time I didn’t know what his behavior was based on or what it was called. I know now that he is a bully at work. Plain and simple. If you read my About Me post, you know that I am going to chronicle my life with a workplace bully. It’s a long story and I hope you bear with me as I try to make sense of what my office life has been. I also want to hear from everyone that has had a struggle with a bully at work, past or present, so please share! As I said earlier, it is VERY difficult to find a decent job in this area and I am not going to move. It is my home and my loved ones are here to support and help me. I also need a paycheck so for now, quitting isn’t an option — FOR NOW. I did make some big decisions going forward though and one of them was looking at how I could make money and work from home. Online marketing seemed to fit my needs. There is something I found that I would like you to think about if you are dealing with a workplace bully. There are options! I looked for a long time online for a way to make money online. I have to say there are a lot of scams and “get-rich-quick” schemes out there. Be very, very careful as they can fool you and then you are out money and more frustrated than ever. I know, I made a few mistakes. 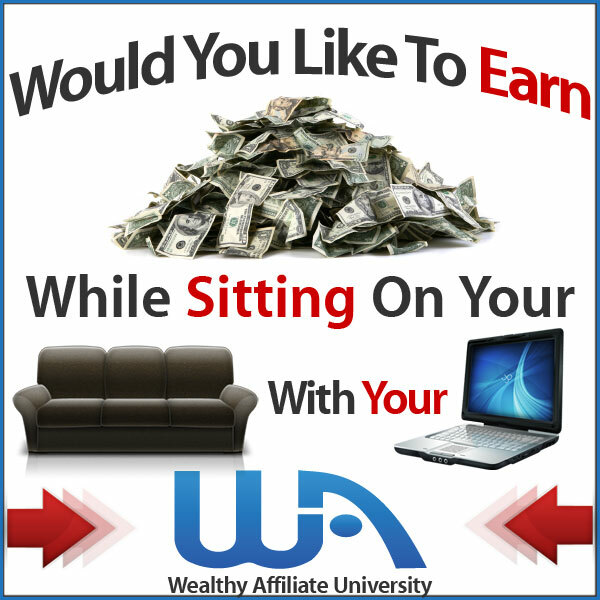 But then I ran across something called Wealthy Affiliate. It looked interesting so I did my research and decided to try it out. I am so thankful I did. I have found a wonderful, supportive and engaging community of people that are there to help me, and you, find success online. It has been a godsend to me and I think it could be for you too. I am dealing with a workplace bully. If you are reading this post, that probably means you are too. My posts moving forward will share some examples, ideas, coping skills, what to do when confronted with a bully, and other ways to handle a workplace bully. I want very much to connect with you and hear your story and share your frustration. I hope together we can heal and find an exciting new future together! Please leave your comments below! I was never an office worker and wound up in very low job positions just about everywhere I went. I was a victim of child abuse for a long time and this affected me adversely. I couldn’t get along with my family and brought my fears to school with me. That became the next episode in my life. I wound up in psychiatric institutions at various times of my life. I finally got out of that area and went up into Maine where I lived in the woods away from having to deal with my social issues. Unfortunately that was just a band aid and I had to work in jobs with lots of folks that had their fun making life miserable for me. I was, by that time so out of touch with normal society that I got picked on all through my employment years. Because I was so different than most people, I was thought of and accused of being gay and all kinds of awful things. There wasn’t much I could do. I’d been in some 60 different jobs since high school. I was finally diagnosed with the inability to work in such conditions and I was little more than a target for bullies everywhere I went. Yes, I know very much what bullying is all about and how many times I had to prove myself because I’d been in a job and now at a new job doing the same thing but starting over again. It is a time of my life I’m glad is now over. Daniel, I am so very sorry for the struggles you have gone through. Bullying certainly isn’t limited to office environments. It happens in all types of jobs. If there is a boss, or manager, or someone in authority, they can be a bully. I know how hard it can be to feel stuck and alone and outcast. It sounds like your life has finally turned around and you can find happiness. I want everyone that has ever been bullied to know that they are not alone and that there is hope in a better future. Thank you so much for sharing your heartfelt story. Please keep in touch and let me know how you are getting along. First off, sorry for the lost of your mother. I like the back story of your article it was interesting in knowing how bullies in the workplace intimate people. But I was glad that you found a great community like Wealthy Affiliate where there are no bullies allowed. No one should ever have to put up with bullies in the workplace Wealthy Affiliate can help anyone see real success and happiness. Thanks for great article. Thank you so much Anthony. It is unfortunate that so many in the workforce have to deal with workplace bullies. I hope I can show these people that there are options, a way out, and a way to be happy again. I believe Wealthy Affiliate can help so many people and thank you for agreeing!